Hello, My name is Melissa Olinghouse. I found yoga in January of 2014. I had driven by the “hot yoga” sign hundreds of times. Finally, in an attempt to beat the winter blues I stopped in to check out the studio. I attended one of Mary Fahy’s classes my first day and I was hooked. During my first Savasana I realized that relaxing was something very difficult for me. My mind was not used to having an opportunity to slow down. I knew then that this was something more than exercise and something my body, mind and spirit needed. 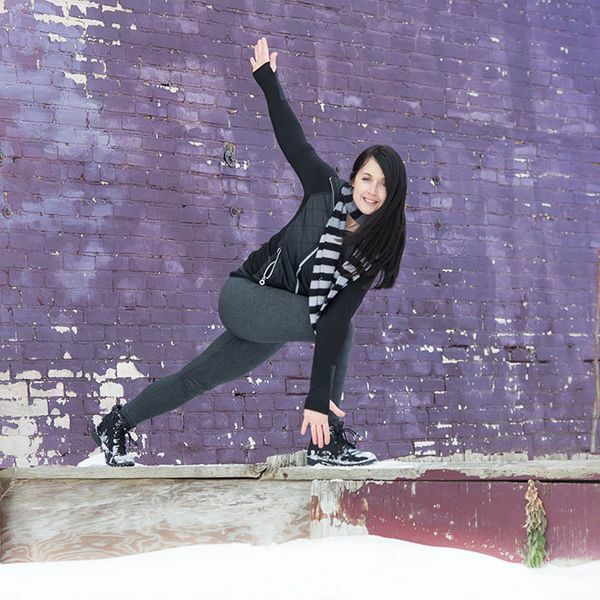 Muskegon Yoga quickly became a home to me. I could feel something changing in me each day with each class. I was more relaxed, I felt healthy and energized and my nerves were calmer. The results were not just physical. I felt myself becoming more aware of my actions and reactions in all areas of my life. Yoga is a journey of self study. Yoga makes me want to be a better me. In the summer of 2015 I decided to pursue teacher training with Hilaire Lockwood of Hilltop Yoga right here at Muskegon Yoga Center. Hilaire offered a training that was traditional, holistic and alignment based During my training with Hilaire I found that many of the things I was experiencing through yoga could be explained and studied in The Yoga Sutras of Patanjali. I am forever changed through the amazing experiences and individuals I met during teacher training here at Muskegon Yoga Center. I hope to share yoga with as many people as I can along my journey.